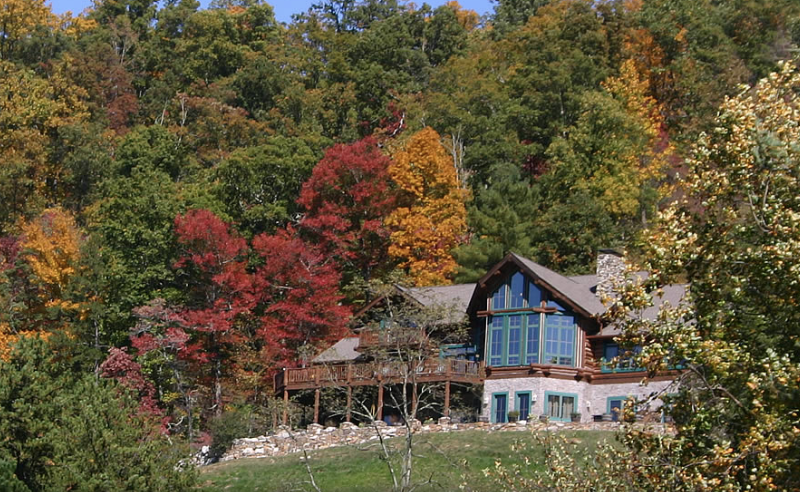 Wildberry Lodge is located 12 miles from historic Asheville and the nearby Biltmore Estate. It's convenient access to Asheville, the Blue Ridge Parkway and the Great Smoky Mountains allows guests to stay in the mountains with convenient access to the excitement of downtown. The lodge has a 32' stone fireplace, log architecture, and breathtaking views of the valley and mountains.